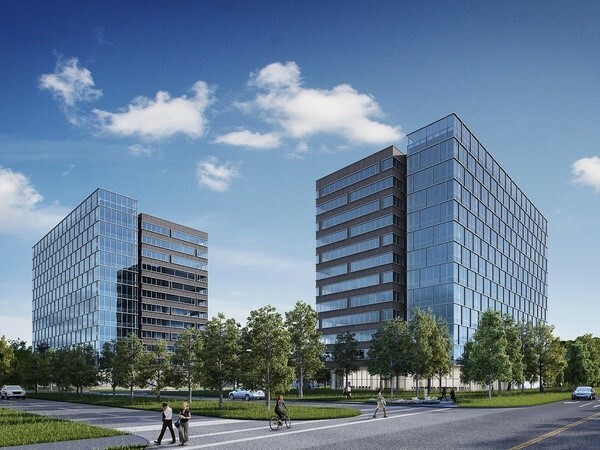 Profile: Skanska USA developed and HOK designed this 325,000-SF, 12-story office building located on 12 acres in the heart of Houston's Energy Corridor. The main tenant, with 122,000 SF, is Petroleum Geo-Services (PGS). The building is targeting a minimum of LEED Gold certification, featuring demand-controlled ventilation and an energy recovery wheel. Floor-to-ceiling glass walls let in northern light and provide vistas of the abundant green spaces. The five PGS floors hold two server rooms, a theater-style visualization room, training and collaboration rooms, divisible operations rooms, open and private offices, videoconference rooms, and a data center. The building also contains a fitness center and café, and connects to a 9-story parking garage. Services: DataCom Design provided IT and AudioVisual, digital signage and wayfinding.